The DR upgrade "AcquiDR" is equiped with a light weight flat panel detector (FPD) designed for digital radiographic systems. The AcquiDR comes with either a tethered or wireless FPD, or a combination of both. 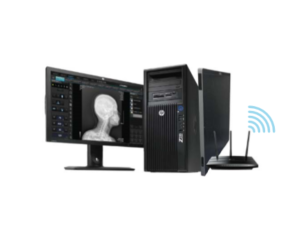 The wireless detector communication enables easy migration between table, above the table, chest stand, and mobile cart applications. The 16 bit digital FPD generates an outstanding image quality at a transfer speed up to 5GHz. 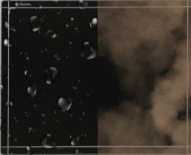 Water resistant (face-up) and dust proof detector. 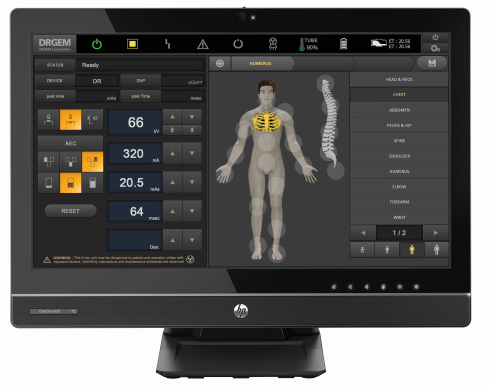 Fully featured RADMAX II software. RADMAX operating system is designed with operator in mind, allowing fast, accurate and easy operation.